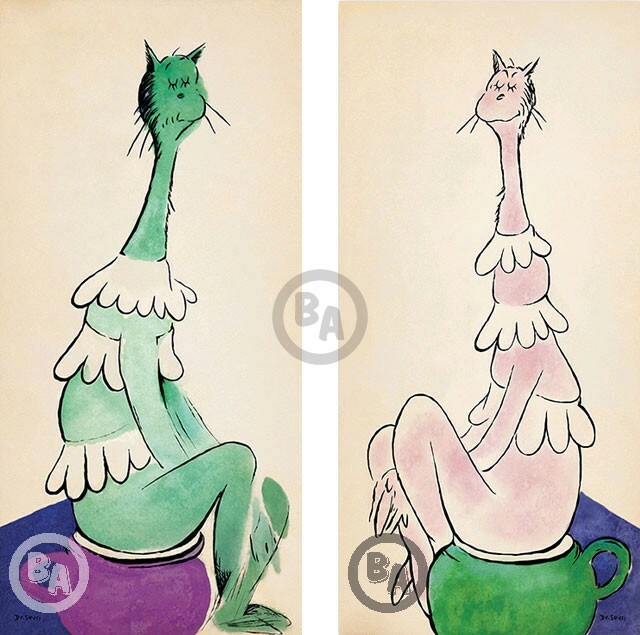 Adapted posthumously from original drawings by Theodor Seuss Geisel, this suite includes Greenish Cat on Pinkish Pot and Greenish Cat on Pinkish Pot. Each piece measures 20" wide by 42" high and is numbered out of an edition of 850. 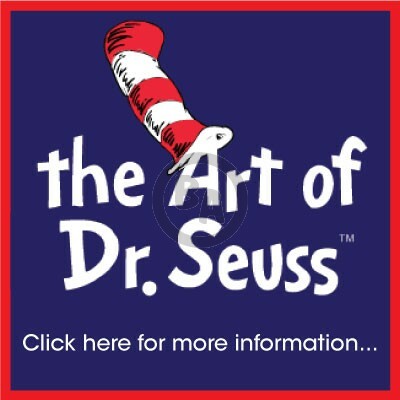 Click here to see additional information and images regarding "Pinkish Cat on Greenish Pot" on Dr. Seuss’s Authorized Gallery Website! 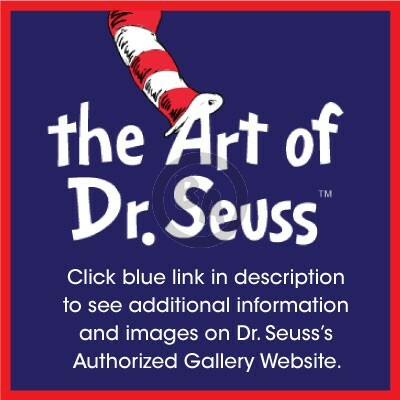 Click here to see additional information and images regarding "Greenish Cat on Pinkish Pot" on Dr. Seuss’s Authorized Gallery Website!